Please notify me when QRS - Purewave 101 is in stock. Did you know that the QRS - Purewave 101 system is the primary PEMF product that consumers use to get renewed energy and better sleep? This is what most individuals turn to for a more complete approach to PEMF therapy. The QRS - Purewave 101 PEMF therapy mat is lightweight, easy to use, easy to clean and it is beautifully designed with a soft surface comfortable enough for anyone to use. What Makes the QRS - Purewave 101 PEMF Therapy Systems Unique? The QRS system is the result of more than 20 years of fundamental research from international scientists with strong scientific backing. Manufactured in Germany, the QRS Purewave 101 is a pulsed electromagnetic field device designed to improve cellular metabolism. The pulsed magnetic fields revitalize the body at the cellular level through targeted ion transport. The first QRS PEMF mat was put on the market in 1993. 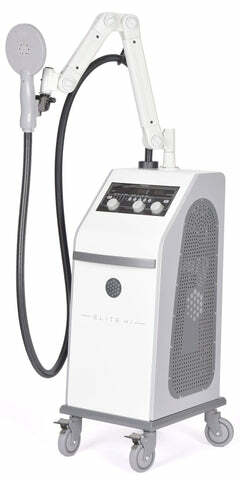 The Purewave 101 is the most recent version of the QRS 101 PEMF Therapy product. QRS - Purewave 101 PEMF Therapy Mats are often used in the offices of chiropractors, homeopathic physicians and now it is popular for home use throughout North America. The list of conditions that have been studied using PEMF therapy is extensive and the research continues today. Pulsed electromagnetic field mats have become a more commonly used device in the last 5 years, and studies have shown that it has been a welcome change for those who are unable to find relief from other therapies, or when surgical procedures have failed. While there are several PEMF devices to choose from, the QRS - Purewave 101 mat is one of the best choices for whole body therapy. This makes it easy for you to issue therapy to the mind and body all at the same time. Many who suffer from pain in multiple areas find that they get great relief by using the mat for full body coverage. The single mono coil, evenly distributes the magnetic field throughout the mat enabling everyone to get the best therapy for the entire body. The QRS - Purewave 101 PEMF System has been proven to promote the body’s natural regeneration processes down to the cellular level. This includes the regeneration of blood vessels, as well as healthier tissue, cells, and nerves. The QRS - Purewave 101 mat measures 70 x 25 inches, and has a flexible design making it easy to use in your home, office, or to transport it to a friend’s home to share the benefits with them. The QRS - Purewave 101 mat has a field strength of between .1 and 40 Microtesla depending upon the setting you choose. The QRS - Purewave 101 mat uses a patented, soft-curl waveform, which studies have shown to be effective for cellular stimulation and regeneration. Individuals may experience different results with the QRS - Purewave 101 PEMF mat. Some report that they notice a difference on their first use of the mat. Others have reported results within as little as a few days to a few weeks or longer. It is best to be patient. Your body deserves it! It is important to use the mat on a soft surface. Using the mat on a the ground or uneven surface can cause damage to the coil inside as well as the overall structure of the mat. Are multiple people using the same mat? If multiple family members are using the mat, you may want to lay a sheet over the mat. Keeping your QRS - Purewave 101 PEMF mat clean is important.